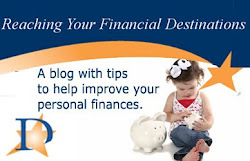 Reaching Your Financial Destinations: Where Are Your Money Problems Really Coming From? Where Are Your Money Problems Really Coming From? It's a new year, and many of us will make resolutions about handling our money in a better way. In order to to do that, you have to get a handle on the root of your money problems. How many times have you felt like you couldn't afford something you've wanted? How is it that, even when you get a raise, moonlight, and somehow increase your income, there's always more that you'd like to do or buy that's beyond your means? Why is it so difficult to get out of debt, and once there, stay that way? Financial professionals and psychologists have weighed in on the issue, and to a certain degree, it's personal: everyone's got his or her own reasons. You may legitimately not be making enough money. You may have developed a comfort level with financial struggle, even an expectation for it. You may be addicted to shopping or living with someone else who is (and who has access to your accounts). But at the end of the day, whether or not you understand your own financial issues, there's only one person who can turn things around. And that person happens to be you. It's not going to get better if the government steps in, no matter what political beliefs you hold. It may be your spouse, it may be that you need a different job, and it may be that you need additional income. It may be financial habits that are so much a part of you it's impossible to imagine life without them. Whatever the problem is, there's often more to it than meets the eye. Spend a little time analyzing what's holding you back from the financial situation you'd really like, possibly with the help of someone who knows you well. Once you've figured out the root of the problem, resolving it will be a whole lot easier.